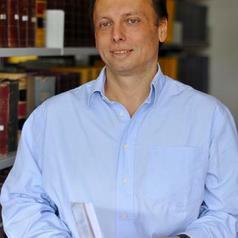 Michael (Mikis) Tsimplis is Professor of Oceanography and Maritime Law at the University of Southampton and the current director of the Institute of Maritime Law. My research interests concern the marine environment and the way it is used. In addition to the general developments in commercial shipping law, admiralty and carriage of goods by sea, the challenges posed by new technologies and the way the policy and legal framework need to change in order to facilitate their environmentally safe usage dictate my research. In oceanography my research focuses on the forcing of sea level and wind wave changes at regional and local scales has been my main interest although I am also interested in changes in atmospheric forcing, oceanic circulation and currents. I lecture Admiralty Law for undergraduate (3rd year LLB students ), Law of the Marine Environment for postgraduate (LLM) students and International Maritime and Environmental Law for MSc students. I coordinate these three courses. I supervise PhD students both in Law and Oceanography. I am also involved with the Southampton Marine and Maritime Institute as I am a strong believer of an integrated approach to marine management. I am currently the principal investigator on a project on Changes in Marine Extremes funded by Lloyd's Educational Trust, a project on the Sea Traffic Management validation project funded by the EC and a project on the Legal liabilities of autonomous vehicles funded by the European Defense Agency. I am also involved with the Leverhulme Maritime Futures doctoral training scheme. BSc in Physics (Athens) 1985. PhD in Oceanography (Southampton) 1990. LLM (Southampton) 1998. Professor. Jointly supported by the School of Law and the Southampton Oceanography Centre.